A real Chicago style pizza will have piles of tangy tomato sauce and creamy mozzarella on top of real, hand-tossed pizza dough. You should also be able to find toppings like pepperoni, sausage, peppers and olives on the menu. The best pizzeria will have plenty of options for carnivores and vegetarians alike. 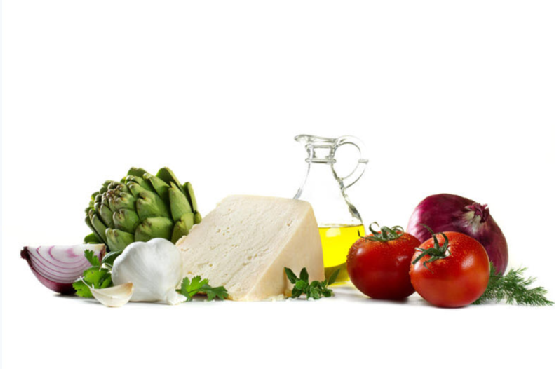 The ingredients, all the way from the flour in the dough to the olive oil and the mozzarella cheese, should be fresh and delicious. How can you expect to have a perfect pizza without perfect ingredients? Your favorite pizzeria should have dairy-fresh cheese, garden-fresh tomatoes and no wilting veggies. You want the best pizza to be cooked to a crisp. The cheese should be melted, the crust should have some crunch to it, the toppings should be well-cooked and the whole thing should be served piping hot. In the end, what makes a perfect pizza perfect is really up to you. Choose the toppings you like and give it a try. A great pizzeria will blend all of the components into a masterfully crafted pie that will please any aficionado’s palate. To order the best deep dish, Chicago style pizza in the San Francisco Bay area, call Pizza Chicago at (408) 329-7681. We have been serving San Jose, Palo Alto and the rest of the Bay Area for 20 years and we want to show you why we were voted “Best Pizza” by San Jose Metro and Citysearch.com for three straight years. Check out our website to see what customers have to say about us. Pizza Chicago Offers Authentic Italian Desserts! Tiramisu is probably the most famous Italian dessert there is. It is delightfully sweet and refreshingly light. But where did this delicious dish come from? What is its history, and why does the name mean “pick me up”? This video follows a travel writer around Treviso, Italy, where tiramisu is said to have originated. He seeks out many delicious variations and tries to discover who invented it. His search is interesting and entertaining, but in the end the origins of tiramisu matter less than the taste! For delicious, authentic tiramisu, visit Pizza Chicago in San Jose and Palo Alto. We offer many delicious Italian desserts to complement our award winning pizzas. For more information, visit our website or call us at (408) 329-7681. Pizza has been enjoyed for thousands of years. The Romans ate a form of pizza that was essentially a wheat bun, which over a few hundred years evolved into the cheesy, saucy creation that we all know and love. Given pizza’s convenient shape and serving style, it was only a matter of time before a few entrepreneurs started delivering pizza to happy and hungry customers. The first modern pizza may have also been the first pizza ever delivered. In 1889, in honor of the visit of Queen Margherita and King Umberto to the city of Naples, a famous pizza chef named Raffaele Esposito hand delivered his new style of pizza to the royal couple. Later named the Pizza Margherita, it was made with the patriotic colors of red tomatoes, white mozzarella and green basil. Pizza remained almost exclusively an Italian treat until American G.I.’s in World War II discovered the delicious meal and brought it back to the United States where they opened restaurants and pizzerias . A few of these small pizza shops began delivering pizza with the rise of car culture in the 1950s, but the idea did not catch on until a few big companies decided to make it the focus of their business in the 1960s. Since then, pizza delivery has been a major part of life in America and around the world. 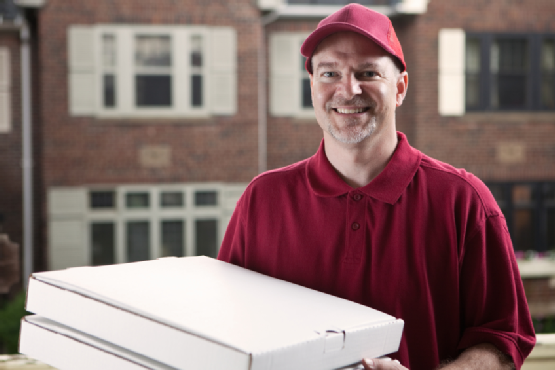 The pizza delivery business has developed new technologies to keep delivery pizzas fresh. First heated bags helped to keep the pizza hat and fresh on longer deliveries. Then the widespread use of the internet brought about the option of online ordering. In July 2000, pizza was even delivered to the crew on the International Space Station. If you are hungry for more than history, call Pizza Chicago at (408) 329-7681 and order the best deep dish, Chicago style pizza in the San Francisco Bay area. Visit our website to learn more about our menu and happy hour specials. Want to learn more about the topics covered in our recent blog posts? If you’d like to get a little adventurous with your pizza toppings or you want to know more about the classic Chicago-style deep dish pizza, then you might find these resources on both informative and helpful. Check out the sweet health benefits of shiitake mushrooms on WHFoods.com. Visit WhatsCookingAmerica.com to read a page about the strange and wonderful history of artichokes as food. Read about the history of the original Chicago-style pizza by reading this article from StreetDirectory.com. Read about how pizza got its start in ancient times on this page from Passion-4-Pizza.com. See what else makes a Chicago-style pizza so special in this article from eHow.com. Living in California means living near a lot of great eateries, but finding the best one can be a bit of a chore. This iPhone app can help you find places to eat based on lots of criteria. You can just give your iPhone a shake and see what comes up, or you can set specific parameters to narrow down your choices. If you’re seeking awesome pizza, you can search for your favorite restaurant by name and get the location displayed onscreen. Pick up your iPhone and give us a call at Pizza Chicago of San Jose and Palo Alto. We proudly offer the best Chicago-style pizza in all of California. Our number is (408) 329-7681. You can see our menu on our website, and even place an order online.